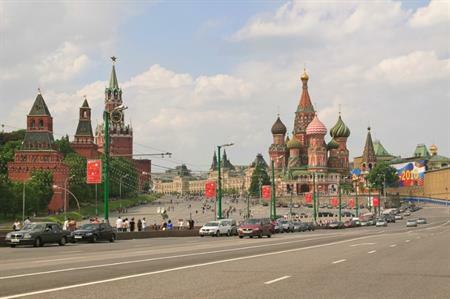 Moscow Convention Bureau has bolstered its management team and says it is actively seeking partnerships to better promote the destination. The new management team includes chief executive officer Tatiana Anisimova and Andrey Zhukovsky, chairman of the executive committee. The Bureau has also announced a number of objectives it is looking to complete. These include the advancement of the Russian exhibition and convention industries and the promotion of the Russian capital’s innovative potential. Several new projects are in the pipeline, including marketing new event venues and introducing a number of international collaboration programmes. Anisimova is an event professional who previously worked as head of the events team at PricewaterhouseCoopers Russia, brand manager at the National Bank TRUST and project manager at The Ministry of Transport of the Russian Federation. Anisimova has participated in a number of high-profile international meetings, including the St. Petersburg International Economic Forum and the Sochi International Investment Forum. Zhukovsky is chief executive of Russcom IT Systems, a Russian auditor of exhibition statistics and has also invested a substantial amount of time in the development of the Russian meetings industry as chairman of the marketing and research committee of the Russian Union of Exhibitions and Fairs, member of the UFI Marketing Committee and member of the Exhibitions and Fairs Working Group, Ministry of Industry and Trade of the Russian Federation. Zhukovsky also previously held the position of deputy chief executive at Expocentre, the Russian expo giant.